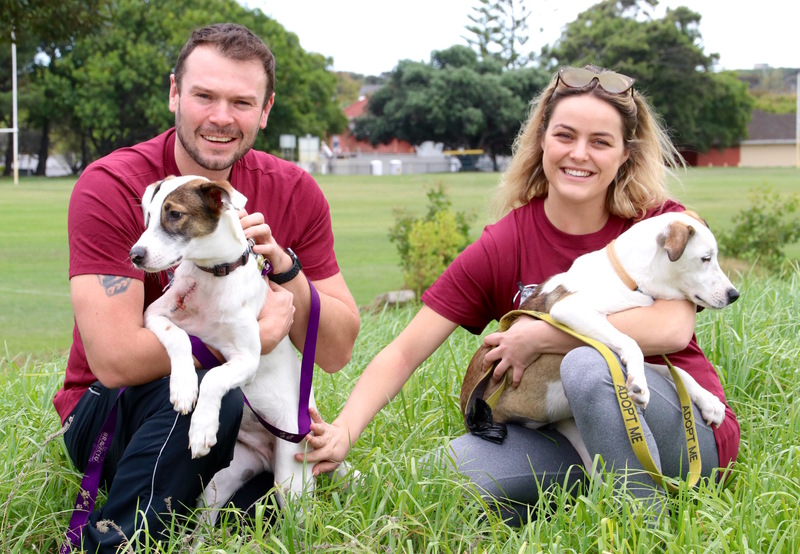 On Saturday 6 April 2019, the Cape Town activpayroll team will take part in the first of three demanding challenges this year to support Animal Rescue Organisation. The team will kick off the fundraising on Saturday, taking part in the IMPI Challenge. The challenge will take place in the town of Stellenbosch and combines trail running with a very muddy adventure style obstacle course. Following on from that, Jay, Inge and Ivile will be training to take on the Knysna Forest Half Marathon on 29 June. To finish off the year on a high, the team will be jumping from the world's highest commercial bungee bridge, the Bloukrans Bridge. All funds raised will go directly towards helping the many animals that Animal Rescue Organisation sees every year through their mobile clinics and hospital in the Western Cape. Patchy and Max, photographed with Jay and Inge are both in foster care at Animal Rescue Organisation. Little Max had a leg amputated and his owners never came back to collect him and Patchy had his shoulder rebuild after being hit by a car. Once fully recovered, the dogs will be looking for loving homes to go to.